"Brooklyn is THAT Girl." 2011. Part of the Brooklyn Love Exchange. Embroidery on antique fabric. 5 x 8.5". In the collection of embroidery artist, Joetta Maue. 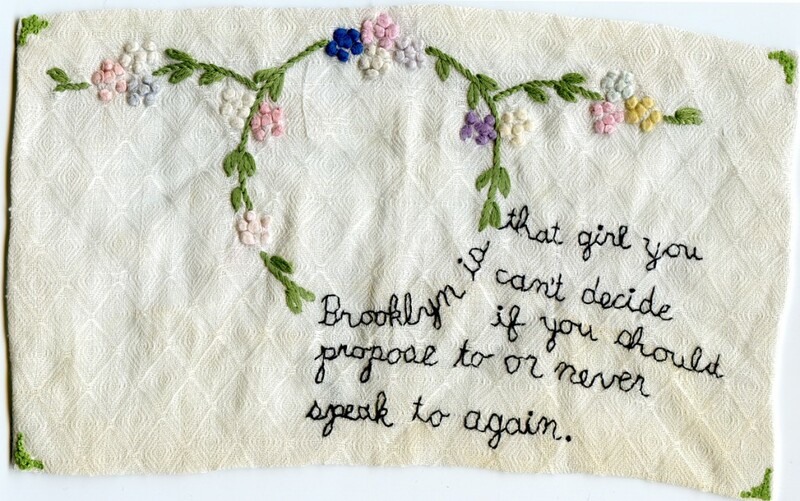 "Brooklyn is that girl you can't decide if you should propose to or never speak to again."